If you’re a new author, traditionally or independently published, one of the problems that you face is that you may not understand how book selling really works. #1 Writers who are dedicated to selling their books, sell more books. This is not a game for the faint hearted. Stephen King sold books from his car to bookshops when he was getting started. The modern day equivalent of that is being on social media and producing interesting, shareable blog posts at least once a week, about your book, your themes, your characters, your locations, anything connected with the book, which will inspire a desire in people to read it. #2 There are readers out there for your book. You just have to find them. They won’t come to you. You have to go to them. How many you find will depend on the universal appeal of your book, the quality of your writing and your cover. If any of those are poor your sales will be low. Get those basic elements right or stay away from this business. 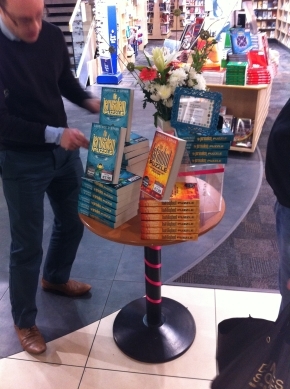 #3 If you’re in retail outlets you better hope your book gets on or near a front table. If you don’t your sales will be low, no matter how good your work is. If you’re online get reviews on Amazon. Beg some early if you have to. Just make them real. Phony reviews can be spotted from the first sentence. And if you get more poor reviews than good ones consider what readers are saying. #4 Publishing is a casino. That’s not something I came up with. A senior director of a top publishing house said it to me. You remember, you have to pay to play at a casino. And you don’t have any guarantees that you will even get your money back. Publishers invest in PR, review copies, editing, online promotions, book store promotions and more, and still only a small percentage of books become best sellers. About one in every 300 traditionally published books in the US becomes a bestseller. Do you like those odds? #5 There is a living to be made in the middle tier. Whether you are self published or traditionally published this is where you are most likely to find yourself, earning between two and twenty thousand a year from your writing. Most writers don’t get rich, so don’t expect to. And please, warn your family not to start spending until the sales figures are in. #6 Networking is a vital skill for an author. That’s how I got published by Harper Collins in over twenty countries and in eleven languages. I met an editor at an event. That was the ninth event I attended in five years. That’s what you call an overnight networking success in publishing. #7 Use Twitter and Facebook and your blog properly. Connect with people. Help people. Offer value. Sure, don’t let it overwhelm your writing time. Just cut out TV and a lot of other things that are less useful for your long term goal and use that time online. If you don’t want to do that, then you are not dedicated. You might as well wait for the tooth fairy to come as wait for the readers to flock to you without making a sustained, creative effort to reach out to people online. Readers are waiting for your book. Go out and tell them why they should buy it. And do remember, book marketing is a hard job, don’t go through it alone. Get support from people who know the ropes, other writers, experienced book marketers, professionals who’ve done this before. Don’t spend big on services either. Keep your spending to what you can afford. You wouldn’t go a casino with your rent for the month, would you? Don’t go to the book selling casino with any more than you can afford to lose. Don’t underestimate the amount of work you will need to do to make your dreams come true either. I read again and again about writers whose fourth, tenth or fourteenth book hit the big time. Think about how many years those writers invested in their craft and in nurturing their readers. If you’re not prepared for a long stint at the casino tables, placing your hard won books down on the table and backing them with the investment you can afford, stay well out of this business. If you’re looking for a career with better odds, I believe there is good money to be made in computer programming. 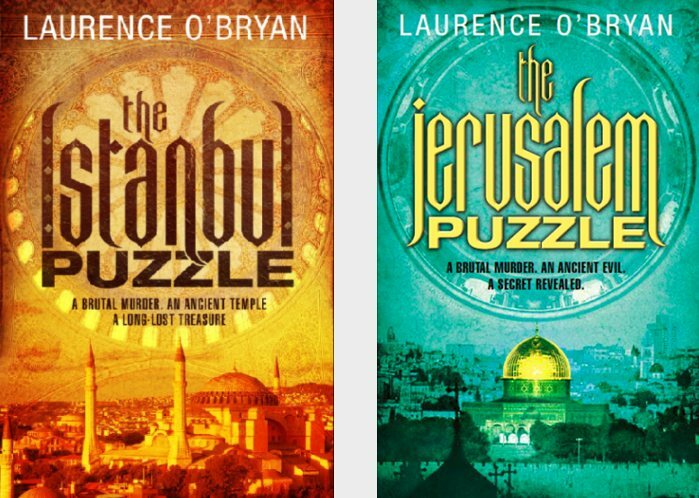 Laurence O’Bryan is the author of three traditionally published novels from Harper Collins. His latest, The Manhattan Puzzle will be published in the US, August 26, 2014. He also runs a book promotion service, BooksGoSocial.com, which helps writers get discovered. He uses his network of 225,000 followers for that purpose. If you’re an author and you want help with your book marketing look at the services he offers at Services4Authors.com. Tags: How book selling really works. Bookmark the permalink.